The tradition began when The Mothership, Big Green Egg, hosted the first annual EGGtoberfest in 1998. The purpose of this event? A family friendly gathering of “foodies,” coming together to celebrate the greatest charcoal-based invention in culinary history – The Big Green Egg! 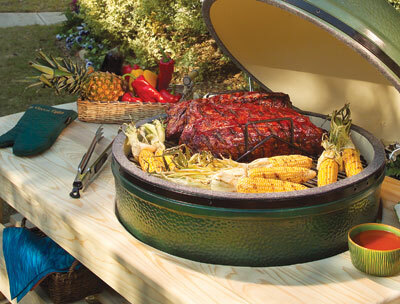 It is a cooking, grilling, barbecue competition where all the food is cooked on The Big Green Egg. We call ourselves Eggheads, and we sure would be glad to call you one, too! Big Green Egg aside, come for the smorgasbord of food as a vast array of cooks from various parts of the world compete for the coveted “People’s Choice Award,” and the professionally judged “Very Prestigious Award, Award!” Think you’ve got what it takes? Register as a cook yourself (it’s free!). But what is better than sharing recipes and food, spreading the culture of culinary cuisine and offering our children a day of fun activities? Doing so for the advancement of cancer research and giving back to the future of the community that was so gracious as to host our event! 100% of the proceeds from every ticket purchase, every egg sold, every personal and corporate donation, and proceeds generated otherwise through this event will benefit the OSUCCC – The James Cancer Hospital. Who knew that a day of BBQ, fun, and friends could do so much good!